Aww ❤ Thank you so much! That extract is awesome! I’m now desperate to read your novel. If you ever need a beta reader or critique partner, you know where to look! Yay! I’m super excited now and you haven’t even written it! I’m quite nervous about my own NaNoWriMo novel. Makes me want to read more! And I was thinking about participating, but depends on my schedule… 😉 Good luck! THIS IS SO GOOD! 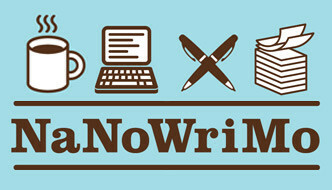 I would love to take part in nanowrimo but not sure I would actually be able to write and finish a decent story, you know? Thank you XD You have no idea how happy it makes me to hear that. That’s true! Can you continue it after the end of November if you do not have time to finish? Absolutely : ) The only goal in November is the word count, you don’t actually have to finish the book during the one month – though a lot of people do. Oh okay! Thanks 🙂 I am signing up now! Oh! That GIF IS AMAZING! But not as amazing as your blurb here. Well done, Miss Reed, truly. I’m intrigued, I want to know more, and you’ve read my books, so you know that I’m in on anything that is dragons and snark. (snickers behind hand). Also, I like the title ‘Golden’, but can’t rule on it decisively until I’ve read the book more. It reminds me of Cress and Scarlett by Marissa Meyer. Just one word is all that’s needed, really. I’m pleasantly surprised with your writing, actually. I didn’t expect that good of a flow from someone breaking into it. Can’t wait to learn more! AHHHHH XD Thank you so much!! And Fat Amy is amazing, plus I love cheesecake – so it’s a win win. Your comment literally just made this entire weekend so worth it ❤ I'd be lying if I said that the introduction of Dragons in Antebellum Awakening didn't remind me of why I loved them so much in the first place. I'm still very iffy on the title, and I know that it is subject to change if (and when ; D) this gets published. Thank you! I’m currently working on Chapter 9 XD it’s coming along! Yay ❤️ how’s your NaNo going?